Regardless of the size, geography or industry, every organization must make a significant investment in its talent. Yet, talent management is often elusive and can meet with disastrous results. In today’s high change and competitive markets, leaders must know how to develop leaders and create a sustainable culture of talent development all while mitigating risks associated with human failure. We help you create comprehensive, disciplined and behavioral strategies to advocate for your talent worldwide. We take the guess work out of it with our proven and innovative methodologies. Our consultants and executive coaches help you leverage all of your resources to attract, select, develop and retain your most productive employees. With Merger and Acquisition goals, we improve your efficiency to seize opportunities for engagement and commitment from a diverse and inclusive and most importantly, productive workforce. We utilize the Birkman Method® and the Birkman 360® (if applicable) to align your talent with data that effectively drives performance and accountability. We make sure not to overwhelm you with information but give you the right amount of competency-based strategies to manage change and grow your next generation of leaders. Simply put, we help leaders achieve goals by helping develop the critical internal business capabilities necessary to succeed. Through our leadership development solutions, executive coaching, micro-learning resources, feedback and ongoing on-the-job action learning plans, we help you build a holistically and thoughtfully designed talent strategy that provides continuity of your key business objectives. One of the most critical elements of a successful business is defining the competencies needed to accomplish the organization’s goals and vision. When an employee develops the exact competencies needed to do their job, they are more engaged, productive and accountable. 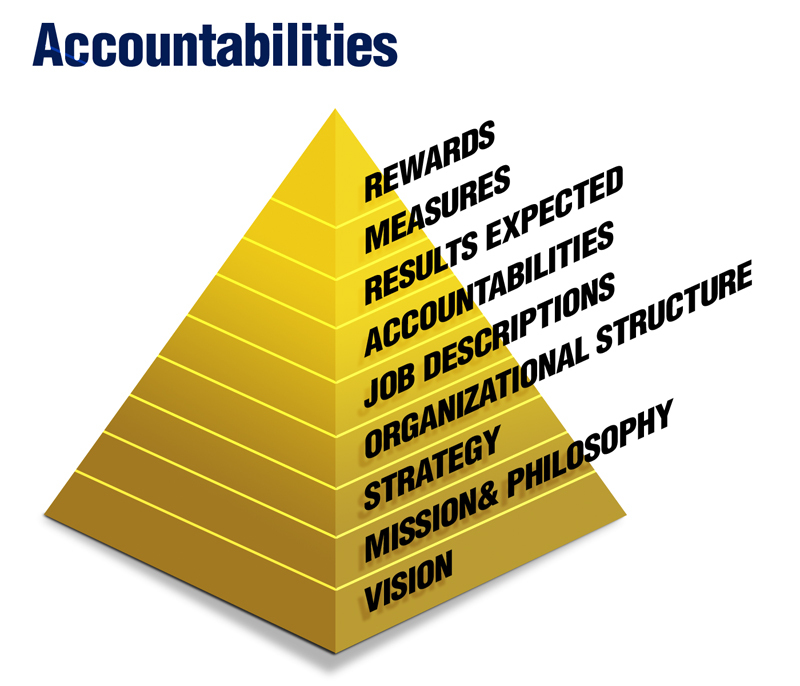 With our Accountabilities program we help you identify the competencies needed including key behaviors required for both employee and organizational success. With competencies in place, you can effectively evaluate individual leadership capability and connect it to effectiveness and productivity. 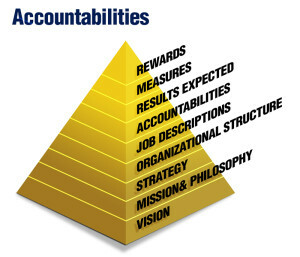 Do you know what the competencies are that are essential to your success? Are your people aligned to those competencies? With high change and market competitiveness at an all-time high, organizations must establish bench strength for long-term success. Our systematic approach helps leaders continuously build or buy talent necessary to ensure the “right” people for the “best-fit” through all levels of high performing and inclusive teams. To keep pace with business and growth challenges, we help you to keep identifying the highest potential leaders with exactly the “right” behaviors and habits, thus the “best-fit”, needed to effectively accomplish roles. With a scientifically superior assessment tool, we accelerate bench strength so that your organization can leverage talent and career optimization.